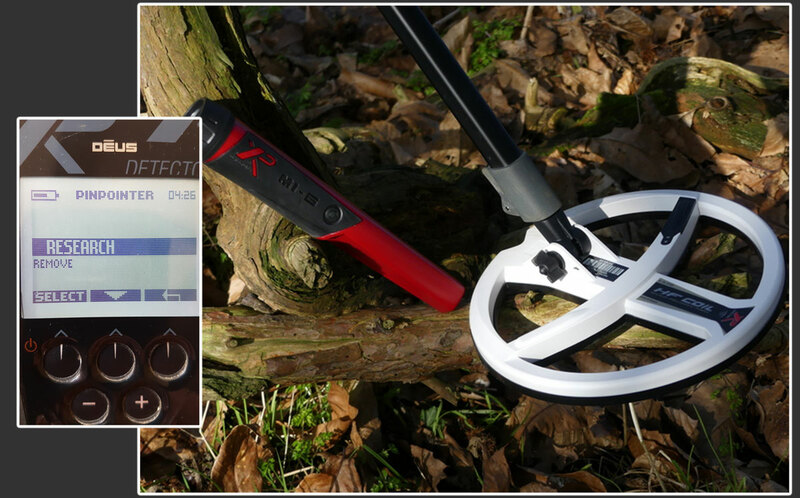 Sometimes metal detector users simply do not like change, and carry on with the mind-set of “if it works, leave it alone’’. I am exactly the same and have been battling on with the same probe for the last two and a half years. I have mostly been using the Pro Pointer, maybe I was just unlucky, but for me the whole experience was not great, the unit was very pressure sensitive and the rubber switch started to deteriorate very quickly. It was no big deal but in the back of my mind it was eating away at me. At first, I was sceptical, because I had assumed it was going to be a big step from using a very basic probe to a unit with several programs and options. But suddenly I remembered how ‘’concerned’’ I was before buying the Deus; I thought it was going to be an over complicated machine, fragile and ‘’not for me’’, I bought it despite all my fears and that decision paid off big time. You can look at the MI-6 like a miniaturized Deus; After you become familiar with few basic options and settings, you will be able to configure it as you like. Once more, the XP products represent versatility and think of the customers requirments no matter hat skill level they are. If you are already a Deus user, and want the best options available, the MI-6 is the missing link for a perfect setup. It can be used as a normal pinpointer, but it can also be paired with the Deus to make it into something very special. The probe has 7 user settings, program 7 allows the user to hear the pointer’s signals through the Deus headphones, along with a dedicated display on your Deus RC showing easy to understand graphics indicating the distance from the target. Imagine you find something extraordinary, you start running with your Deus in one hand and the find in the other one, searching for some friend in order to show him what you have just found. After the field celebrations and the tons of mobile phone pictures, you realize that you’ve lost your MI-6; you’re in the forest, all the trees look the same and…it’s gone. With the new Deus menu – Options- Pinpointer– Research mode you have your chance. By accessing the ‘’Research mode’’, you’ll be able to locate your MI-6, which will continue to transmit a signal for several weeks, even if the MI-6 was switched off when lost. If you want to go even further in terms of options, you can access more MI-6 settings from the Deus remote, being able to change it’s tone pitch or sensitivity. I would like to say a few more words about the “Advanced” sensitivity options. By accessing the MI-6 sensitivity setting from the Deus remote unit, you will be able to select several values, and test them live on some targets, even at home. 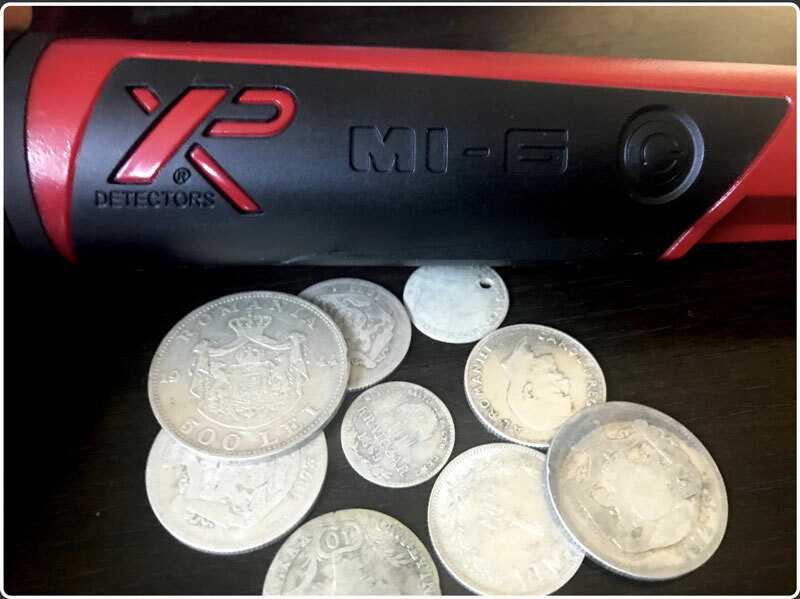 When I reached a sensitivity value of 50, a nickle sized coin was clearly detected at about 8-9 cm, while the detection of small targets such as silver fragments, dramatically increased during my tests. For the first time, I feel that a pinpointer LED light isn’t useless. The MI-6 light is truly bright and very practical. If you do not own a Deus, the MI-6 is still a good choice as it has built in – 3 levels of sensitivity, vibrate, 2 pitch options and 6 available programs, this probe is a winner. I would also like to mention that the MI-6 is submersible up to 6 meters, so it will appeal to the more serious underwater searchers. 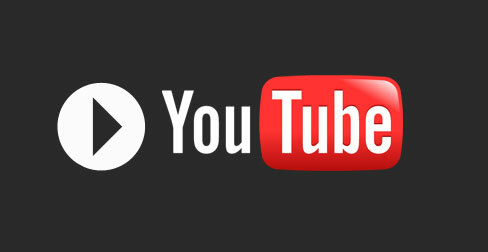 There is no need to need to say how the design is beautiful, and the materials are top quality….Just say it’s from XP ! As with many other XP products, most of the MI-6 parts are replaceable, and the battery life is fantastic, it is charged exactly like the Deus, using the supplied USB cable. The guys at XP have not reinvented the wheel, but simply made it better. It is certainly more sensitive and responsive to small targets, I guess it needs to be having seen the sensitivity of the HF coils. Another little, nice feature is the ”action” belt clip, which rotates 360 degrees. 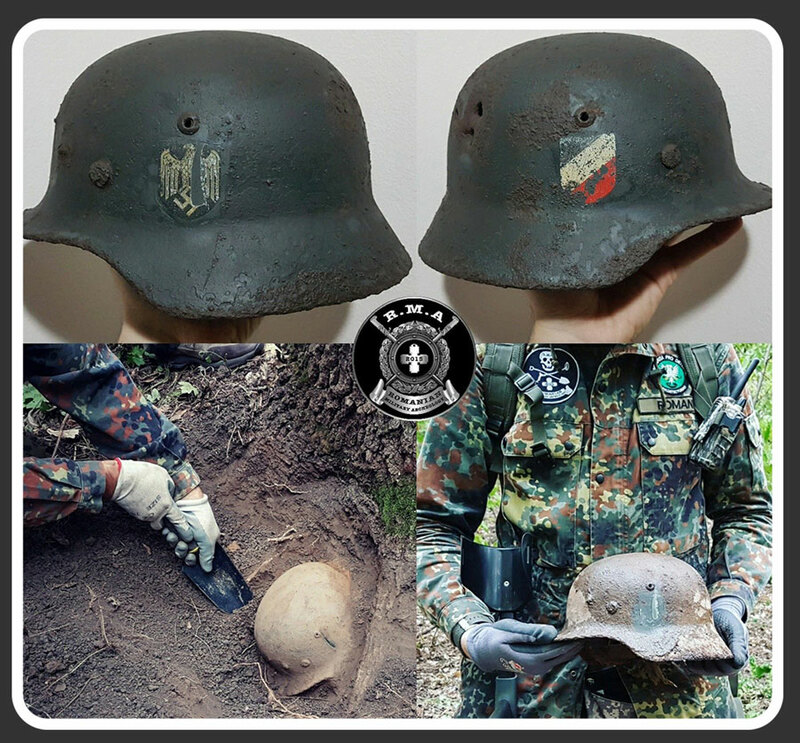 Our team specialize mostly in recovering militaria we are proud to work alongside local archaeologists and museums, our combined team have vast experience in all types of metal detecting so it was good to put the MI-6 through it’s paces. We have been using the MI-6 for nearly 2 months now, and have tested it by allowing each different member of our team use it and give their honest opinions. 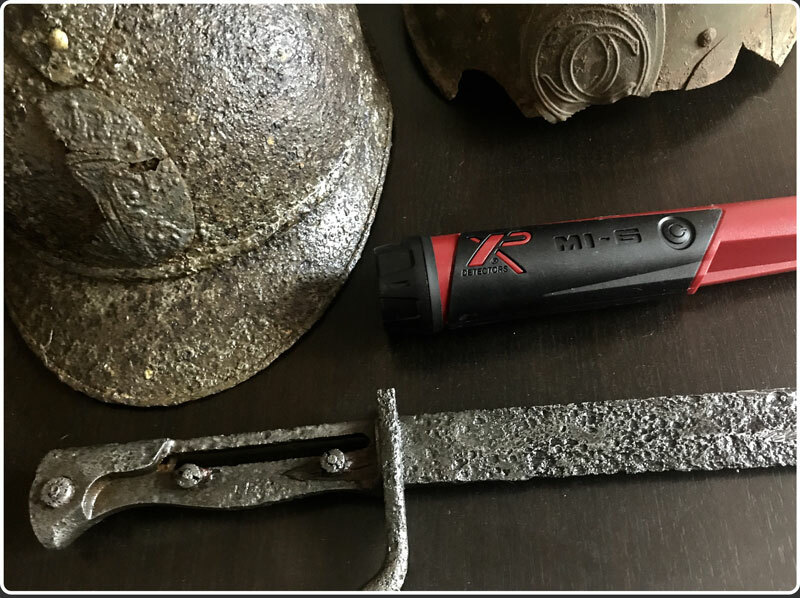 We found that running the MI-6 at a higher sensitivity level offered a big advantage, it helped us to locate some big targets at depth, allowing us to carefully excavate them with a hand trowel hand trowel without risking damage from the spade. By quickly pressing the on/off button repeatedly, allowed us to de-tune the probe for accurate target location. So from team RMA the MI-6 gets a big thumbs up! Go grab one, you won’t regret it.